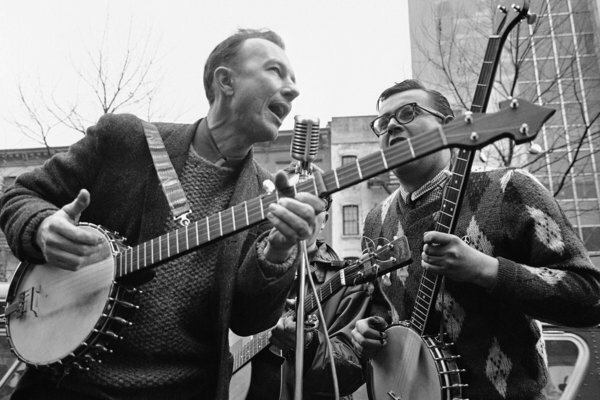 Music fans got some sad news yesterday, legendary folk singer and rabble rouser Pete Seeger passed away at the age of 94. Tags: 360 Music, banjo, Billy Bragg, Blackbird Raum, Bob Dylan, Curtis Eller, Elvis Costello, folk music, James Connolly, Johnny Cash Show, Johnny Irion, Mark Pickerel, Mat Callahan, Mid-Week Beat, Mike Ness, Pete Seeger, Sarah Lee Guthrie, Social Distortion, Songs of Freedom, Sweet Honey in the Rock, The Green Frog, the Singing Festival, Willie Nelson, Ysaye Barnwell, Yvonne Moore. On Sunday, May 22nd folk legend Ramblin’ Jack Elliott will perform at America’s longest continuously running folk club Caffe Lena in Saratoga Springs, New York to celebrate their 51st anniversary. Tags: Aiyana Elliott, Bob Dylan, Caffe Lena, Dave Van Ronk, Gas Light, Gerde's, Grammy for Best Traditional Folk Album, Huntington's Disease, Joan Baez, Mississippi John Hurt, Phil Ochs, Ramblin' Jack Elliott, Rolling Thunder Review, Skip James, South Coast, Sundance Film Festival, Woody Guthrie.